Ibiza can be a cruel mistress, showing your liver no mercy. Its hedonistic party culture promotes excessive drinking, and ultimately leaves its revellers feeling rather worse for wear after a night on the sauce. There is a 99.9% chance that you will wake up hungover at least once during your holiday (unless you are super-human and have a liver of steel). Hangovers affect everyone in different ways, but the most common symptoms include thumping headaches, tiredness, inability to prise your head away from the toilet bowl, a mouth so dry that it feels like a carpet, and if you’re really unlucky, uncontrollable shaking. We trust that you probably want to eradicate these symptoms as quickly as possible after a heavy night, so you can get back to enjoying your holiday. With this in mind, we have come up with a compilation of (almost) fool proof hangover cures. 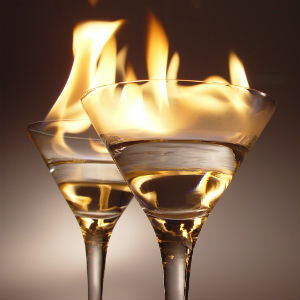 What many drinkers conveniently forget after a few tequila slammers is that alcohol contains toxins and chemicals which are potentially harmful to the body. Ever wondered why you can’t stop peeing on a night out? Alcohol is a diuretic, meaning that the body is tricked into expelling almost 10x more water, on top of the alcohol you consume; leaving the body dehydrated the next day which is the main cause of a hangover. Naturally, you would think that if there is a science to the cause of the hangover, there is science to the cure? Sadly not. There is no miracle medication that will take your zombie-ness away, but a great place to start is by drinking plenty of fluids. Water of course is the source of all life and is a sure-fire choice of hydration, but for a nauseous tummy, try sipping Coca Cola or Lucozade, the glucose content will give you a quick pick-me-up while the bubbles will soothe the stomach. The last thing you want to do when you feel like death warmed up, is eat, out of fear of seeing your meal again in under five minutes. However, it has been scientifically proven by experts at Newcastle University that food can provide relief from a raging hangover. A greasy fry-up, or at the very least, a bacon sandwich can help aid a speedy recovery. 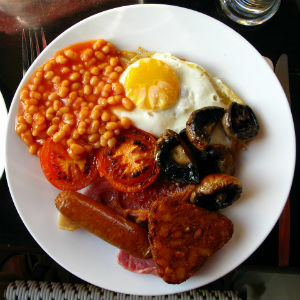 The protein, fat and salt content in the fry up helps the liver to repair and replenish itself after a night of abuse from harsh alcohol intake, whereas the starch from bread helps absorb any remaining alcohol. Lead astray by reality TV programmes which glamorise drunken behaviour, many young people have been brainwashed to believe in crazy mantras like “eating is cheating” before a night out, but don’t believe a word of it. Lining your stomach with food before drinking causes less damage in the long term and will definitely soften the effects of your hangover the next day. Bring on the pot noodles! Of course, there are over-the-counter remedies readily available which can help tackle some of the symptoms of your hangover. Paracetamol for your banging headache, Alka Seltzer for your bubbling tummy… but use these drugs wisely. Taking medication on an empty stomach, lined only with remnants of last nights’ Sambuca can actually make you feel worse. Make sure you eat something first and wash the tablets down with plenty of water to avoid causing further damage to your stomach and liver. Alternatively, do nothing at all. Fresh air and rest is as good a cure as any for all hangover symptoms. 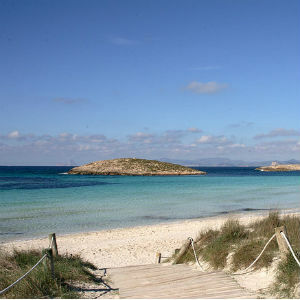 Ibiza has a much less commercialised little sister island in the shape of Formentera. Lying just half an hour away by boat off the Ibizan coast, Formentera is the paradise island clubbers flock to when they need a holiday, from their holiday! Hop on the ferry and take yourself away for a day’s R&R, you’ll be fresh as a daisy and ready to go again in no time! Need to know where to go to get your hangover? Check out our handy guide to the best alternative drinking venues on the White Isle.